This is one time when reading the comments on the internet is not only okay, but will make you feel as if everything is right with the world instead of the other way around. It all started when a man posted this question on a Facebook page called Man Who Has It All. 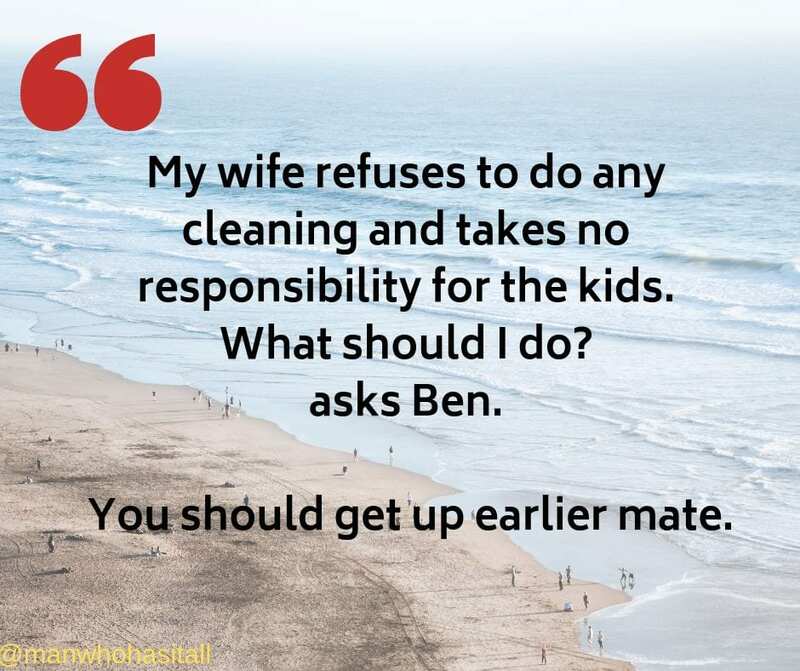 His wife doesn’t clean the house or take responsibility for the kids, and he wants to know what he should do about it? 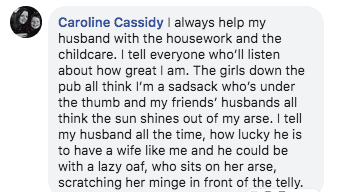 As you probably can guess, the women of the internet had a good belly laugh about how the men in their lives don’t do much to clean the house and also, even if they play with the kids, don’t take much responsibility when it comes to the heavy lifting of parenting. Imagine a world where gender roles were reversed. Where it was acceptable for women to behave as men do when it comes to cohabiting or parenting. That’s all we’re saying, Ben. Just stop and think about your question and why it seems acceptable to you to ask it and what that says about the world we live in. Which honestly just delighted everyone more.